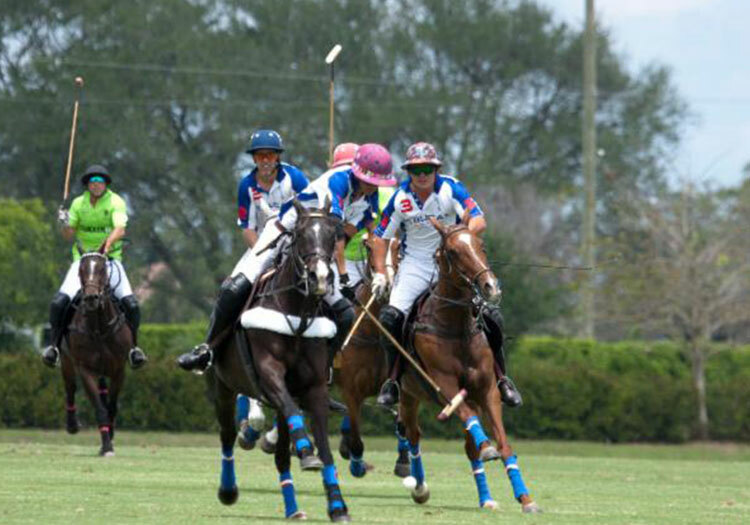 Sebucan dominated the USPA Eastern Challenge championship final from start-to-finish to capture the prestigious title Sundayat Santa Rita Polo Farm. Playing together for the first time as a team, Timmy Dutta, 1, Pablo Pulido, 2, Lucas Diaz Alberdi, 5, and Juan Martin Obregon, 5, defeated ChukkerTV (Josh DuBarry, 0, Piki Diaz Alberdi, 7, Pablo Dorignac, 5, Julio Gracida, 4), 16-10. Pablo Pulido, playing well above his two-goal rating, was named Most Valuable Player. Pulido, a former collegiate player at Cornell, scored four goals and was one of the most dominant players on the field. It was Pulido’s first MVP award since October 2017 when Sebucan knocked off Casablanca to win the USPA Fall Plates tournament during the fall season at Grand Champions. Cupid, a 5-year-old owned and played by Julio Gracida in the third chukker, was selected Best Playing Pony. Sebucan started with a 3-0 lead on handicap and quickly built 6-1 and 7-2 cushions after two chukkers. Chukker TV cut Sebucan’s lead to two behind Gracida’s clutch penalty conversions to trail 8-6 at the half but could get no closer.